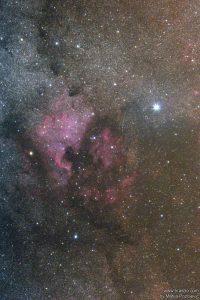 NGC 7000, the North America Nebula, is located in the constellation of Cygnus. 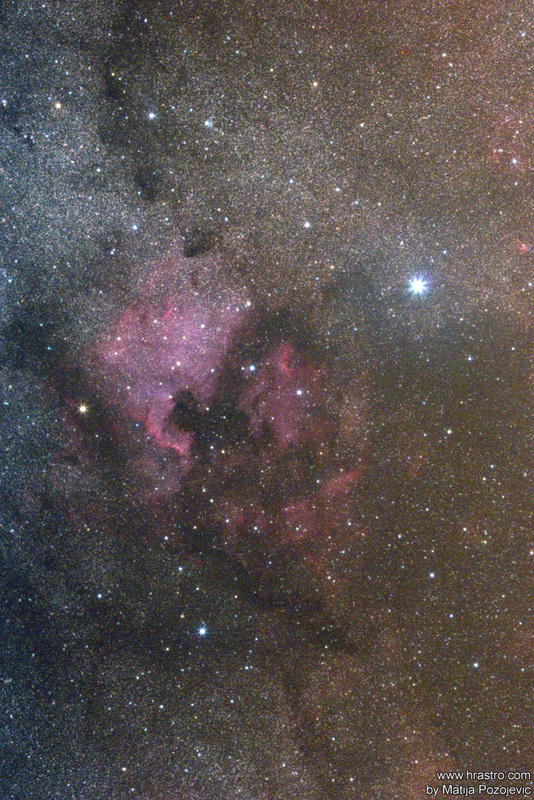 It is a very large area of emission nebulosity extending some 2.5 degrees to the east of Deneb. It was discovered in the early 1890s during experiments into wide field astrophotography. Several areas of nebulosity can be seen surrounding NGC 7000 including IC 5070, the Pelican Nebula to the west and IC 5068 to the south. The ‘Skull Nebula’ can also be seen between the North America and the Pelican nebulae.